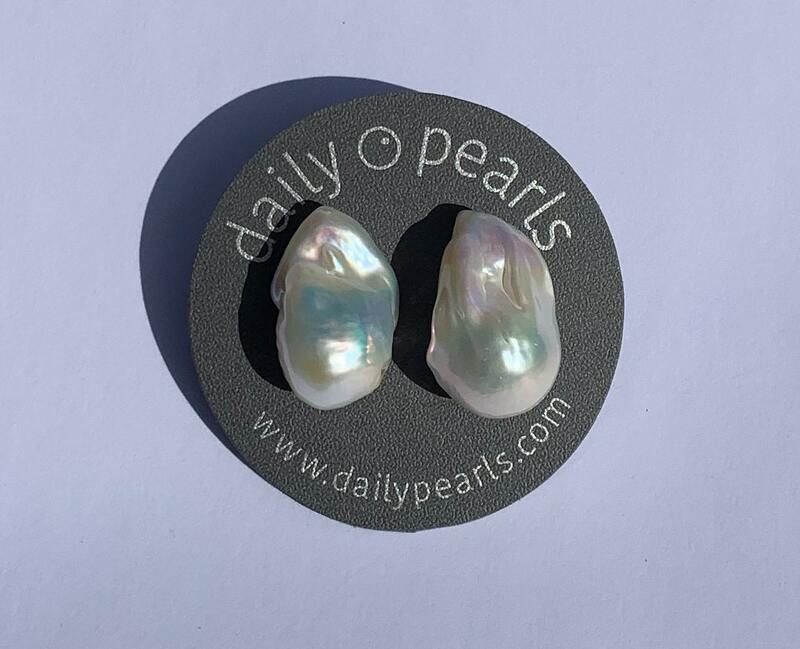 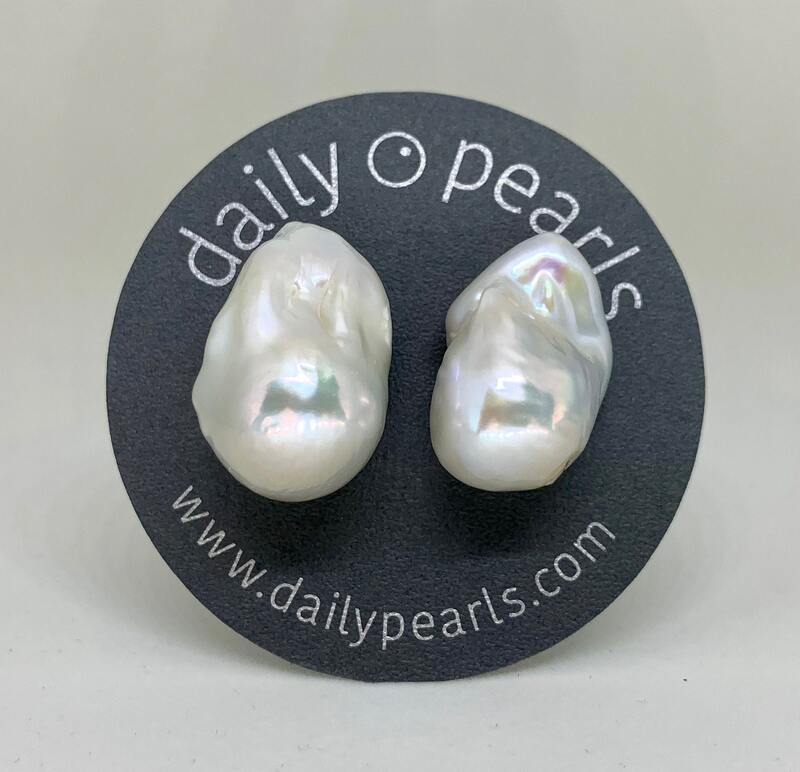 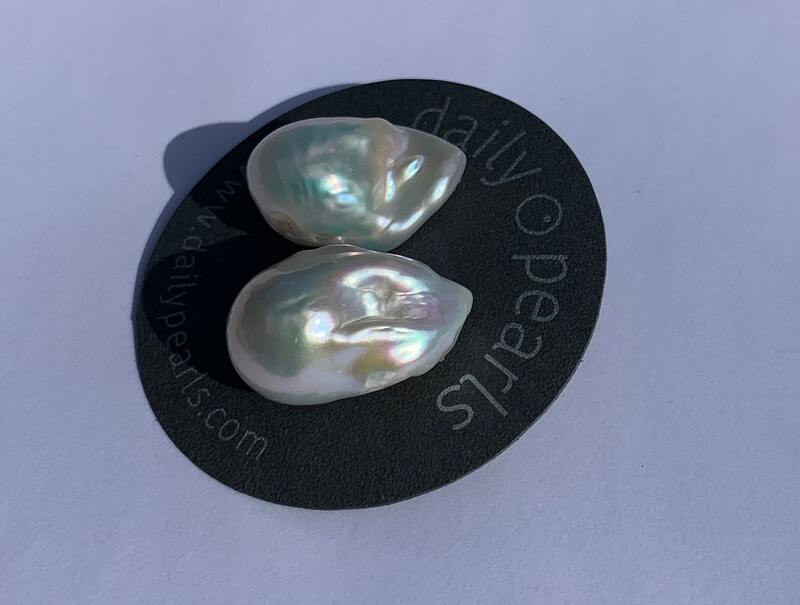 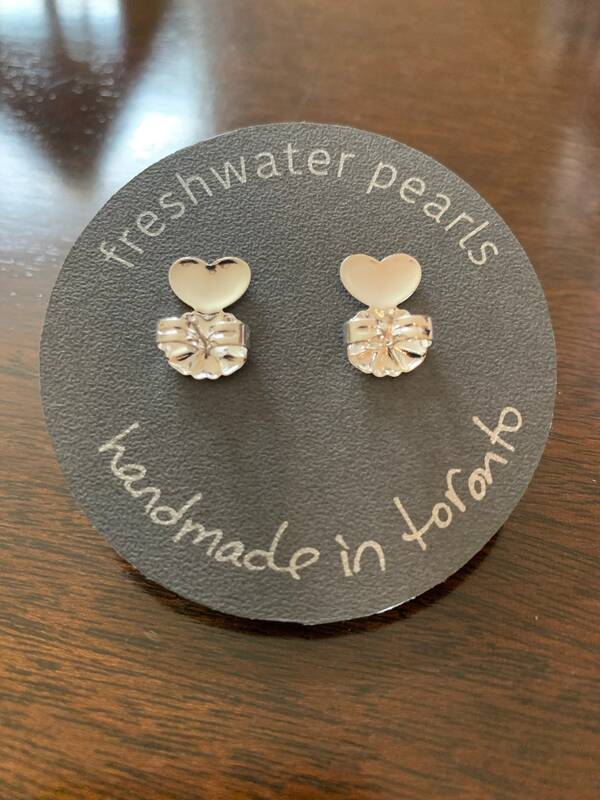 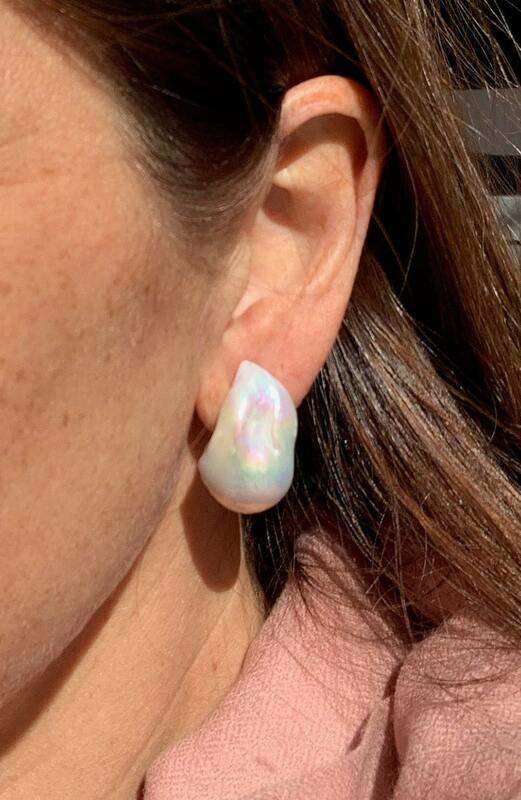 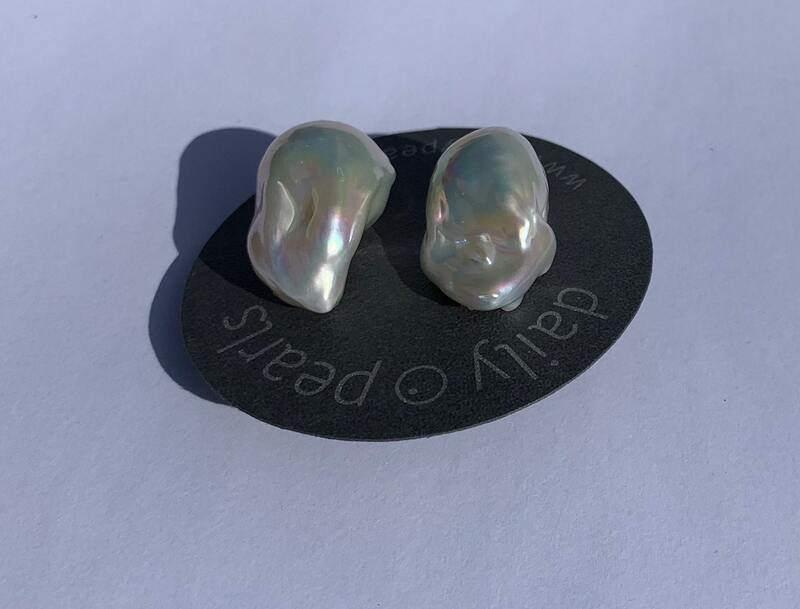 The texture and lustre of these fireball freshwater pearls makes this pair of huge studs quite special. 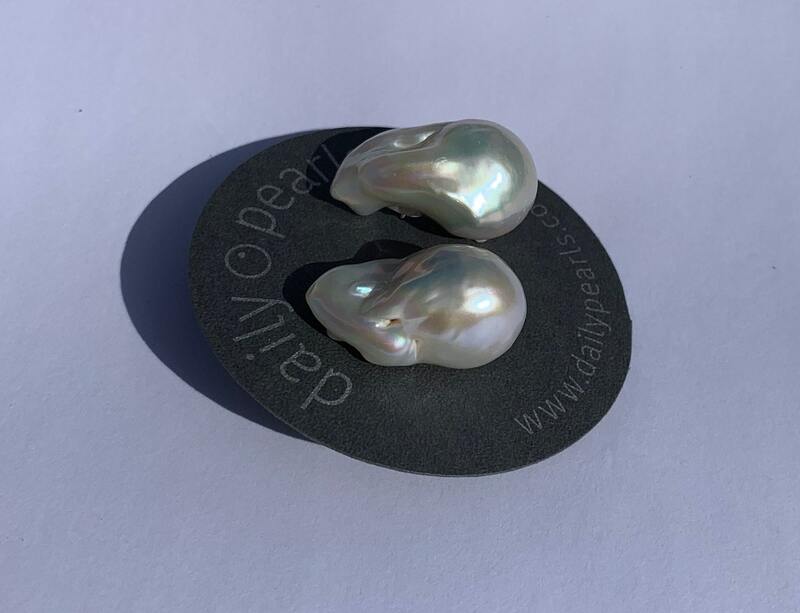 This grade of pearls is quite white, and usually leans slightly silver or slightly warm. 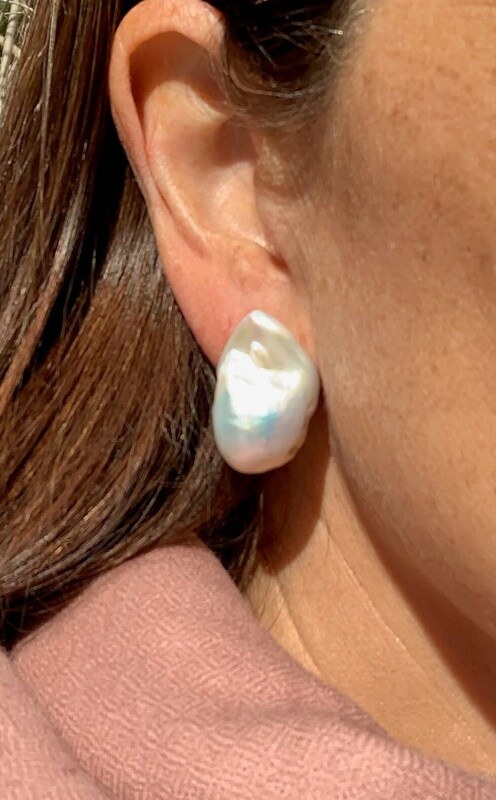 These are a bit warm, and would work well with any hair colour.